Turn play time into a way to learn the Christmas story. 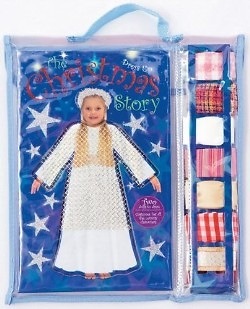 This unique package includes two hinged dolls, fourteen pieces of material and a board book, so that children can create all the characters at the nativity. Promotes hand-eye coordination and stimulates imaginative play. For ages 3 and up.